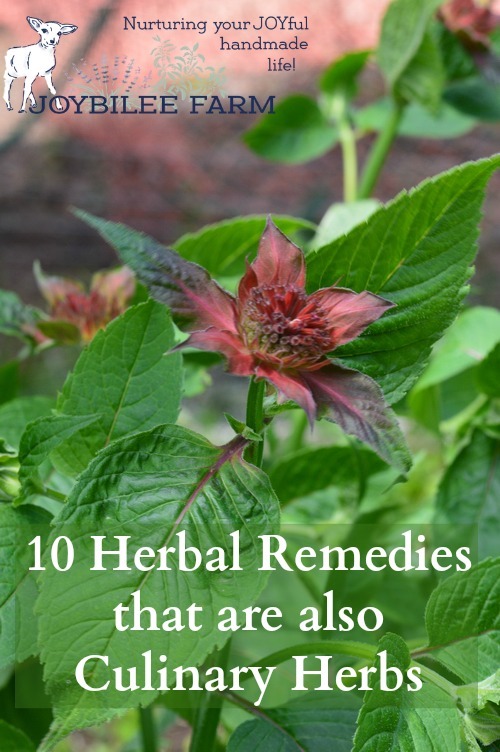 It can be confusing when you are just starting your homestead herb garden, to know which herbal remedies to plant. Of all the many perennial herbs available, how do you decide which ones you need and which ones you should wait on. You’re limited by your climate for sure. If you live in a zone 3, as I do, you aren’t going to be looking at a perennial that thrives in a zone 9, unless you plant it as an annual or pot it up and bring it indoors each winter. But aside from climate zones, which herbs should a newbie begin with? Dual purpose perennial herbs are a good choice, when you are just starting out. Get these going as soon as you can plant them out, and you’ll have them all season for both cooking and health. In the third spring from planting out, some of these perennial herbs will be ready to divide and create new plants. So right off the bat, start with plants that are NOT patented. Many herbs are patented plants with a breeder’s Trade Mark. You can’t legally divide these plants to make new plants and you can’t pass them on to your gardening friends, even for free. As a homesteader, you will want to avoid these varieties, so that you are free to divide your plants and increase your “wealth” and homestead abundance. So set yourself up for success and just avoid patented plants on your homestead. When you are looking for perennial herbs at your garden store, a patented plant will have a label that states that it is patented or trademarked. If it doesn’t have a label, it isn’t a patented plant, at least you should be safely able to make that assumption. If in doubt, ask. Here’s 10 culinary perennial herbs that you should plant in your garden for both medicine and cooking. Thyme (Thymus vulgaris) Zone 4 to 9. Even in colder climates, Thyme usually thrives. It spreads across the ground and so is usually protected from very cold weather by fallen leaves, and snow. It is a culinary herb used in many cuisines, especially French and is one of the ingredients in bouquet garni. It aids digestion. There are many varieties with unique flavours including lemon, caraway, lavender, lime, and orange. Some of these have patented varieties within the subsection, so read labels when you are buying plants. Thyme is a potent immune booster, and something to add to your chicken stock when making chicken soup for the sick. In the winter, make a strong herbal decoction with thyme, marjoram, oregano, sage, and parsley to kick a cold or chest virus out of the house. Sweeten with local, raw honey to increase its healing potency. It is a digestive tonic, antiseptic, antibacterial, anti-fungal, and it is a useful expectorant. Here in zone 3, I have to buy a new thyme plant every spring. My climate is too cold to even get a strong plant growing in the summer. It definitely won’t over-winter for me. Marjoram (Origanum vulgare) zone 4 to 8. This is the hardy wild oregano that oil of oregano is made from. It is a culinary spice with a strong wild oregano flavour and can be added to dishes where you would add oregano. Not quite the same flavour overtones as culinary oregano, but combined with other Greek or Italian spices, it works. It is strongly flavoured so use less than you would when using culinary oregano – a pinch instead of a teaspoon, until you know how strong yours is. Its real value is in tea or chicken soup as an immune booster. It helps for upset stomach, headache, cough, and diarrhea. It reduces inflammation and is antibacterial. It’s a stellar performer when fighting chest congestion, bronchitis, and pneumonia. Marjoram is analgesic, antibacterial, antiseptic, diuretis. It acts on the nervous system and is a vasodilator and nerve tonic. It has sedative properties. Avoid internal use in medicinal quantities during pregnancy. It’s hardy to zone 4 but can be preserved in a zone 3 with some protection, such as snow cover. You can start it from seed. Plant starts may be hard to find as it is not a common culinary herb. But because of its stellar health benefits its worth hunting down some seed to get it going. Try Richter’s Herbs in Canada for seed. Greek Oregano (Origanum vulgare hirtum) Zone 5 to 11. There are several varieties with varying hardiness. Many of these are patented so check for labels if you are buying plants in your garden store or nursery. It grows prolifically, like mint, so you want to keep its roots in check. Notice that the Latin name is almost the same as Wild Marjoram. Use it in Greek and Italian cooking. Pizza isn’t Pizza without oregano. Medicinally, make a strong decoction with thyme, marjoram, sage, and parsley to treat coughs, colds, and flu symptoms. Add it to chicken soup for treating the sick. This has similar but milder action than Marjoram. Safe in culinary amounts during pregnancy. To make more plants, divide the root in the Spring of its 3rd year and every two years after that. Peppermint (Mentha x piperita) Zone 4 to 9. Peppermint is a very prolific plant. It spreads like crazy so put it in an area that it can spread at will, or put it in a huge container or raised bed to contain the spread. This is a great plant to populate a hugelkultur bed. Use it to season strong and fatty meats like lamb and goat. It’s an essential spice in Middle Eastern cooking. It aids digestion and helps with gas and acid stomach. It’s also good for chest and sinus congestion. Make a strong tea to lift your spirits, and bring relief from a cold. Use it in the bath to relieve sore muscles, too. Mint is a pain reliever. Peppermint has antiviral properties and is antiseptic, anticatarrhal, expectorant, fungicidal, antispasmodic, and tonic. It is uplifting of your mood and a mild stimulant. For some people it is relaxing. Peppermint is considered safe in pregnancy from the fourth month onward. It is particularly effective when burned in the room. Nervous and excitable people may find it too stimulating. You will want to divide your mint plants every 2nd Spring and pass it on to your friends and family, so pick a variety that you love the flavour of. You’ll be a hero when you pass it on. My favorite is chocolate mint. Sage (Salvia officinalis) Zone 5 to 8. Sage is a short lived perennial. It usually only lasts about 3 years in the garden and will flower for only two seasons before dying back the following year. It’s best to propagate this from seed or cuttings rather than counting on root divisions to make more plants. If you start with plants from the nursery, in the second year after planting, you can bend a few branches down to the ground in the Spring and bury them with soil, leaving the tip exposed. This is called layering. New roots will form on the buried branch. In late summer, separate this stem from the mother plant and the new plant in a fresh location to keep the plant growing longer. If you live in zone 3, you may need to start with new plants each season, like I do. Sage is one of the essential ingredients in French cooking and is the spice to grab for turkey, chicken, and duck flavouring. Just crushing a sage leaf in your fingers will bring up memories of stuffed Turkey and Christmas or Thanksgiving. Chives (Allium schoenoprasum) zone 3 to 9. Hardy and one of the earliest Spring greens. Chives are from the onion and garlic family and contain some of the same beneficial immune boosting properties as onions and garlic, but with a milder action and a milder flavour. One of chives amazing properties is that its available to harvest almost as soon as the snow recedes and if you keep harvesting it and preventing flowering, it will grow actively till frost. I use it instead of green onions in my salads and cooking. 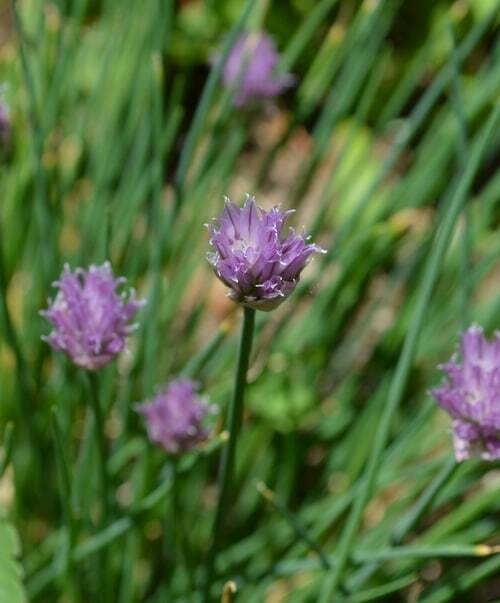 Like Garlic and onions, chives will help with digestion, and help to fight a cold before it takes hold. Add it to that magic sage, oregano, thyme tea and you increase the health benefits. Use it in chicken soup for the sick, too. You can propagate chives by dividing the plant in early spring. Each green spear grows out of its own bulblet, and these can be separated from the mother plant, after flower in late summer, or in early spring before the plant sets on rapid growth. Chives are one of the easiest plants to propagate. If you have gardening friends you can probably get your start from them, in a trade. Safe during pregnancy. Bay Laurel (Laurus nobilis) zone 8 to 10. Bay leaf or Bay laurel is a tender perennial. In colder climates grow in a pot and bring indoors in winter. It’s essential in French cuisine and in Middle Eastern cooking. Bay will grow into a small tree, if brought indoors every winter. Its leaves are evergreen. You are best to start with plants from your nursery and grow Bay in a container. Bay is often added to soups and stews for flavouring. Adding a sprig of Bay to your pantry will repel grain moths. 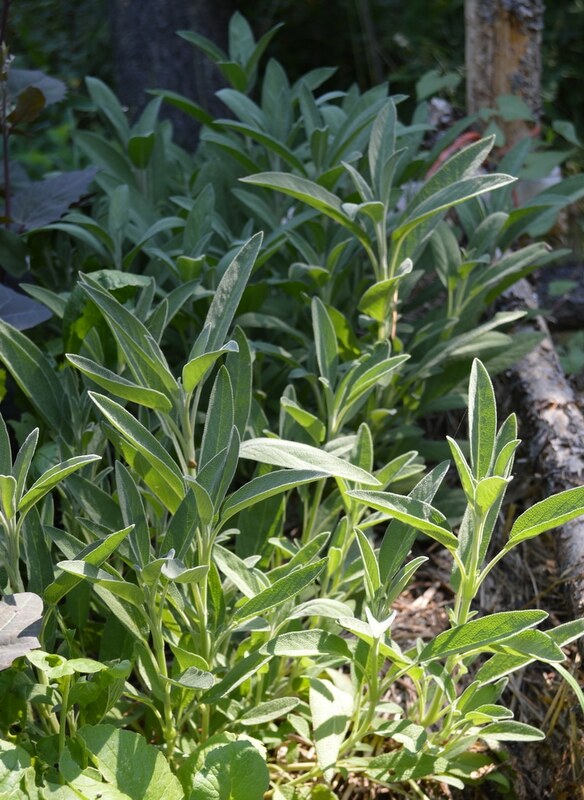 Bay is antibacterial, and is a good addition with sage, oregano, and thyme to brew a healing tea. Or even throw a few bay leaves in your essential oil infuser to cleanse the air in a sick room. Bay is antidepressant, antiseptic, and helps with digestion. Bay should be avoided during pregnancy but can be burned in a room infuser to good effect for pregnant women, infants, and children. Propagation is easiest if you take a cutting of this year’s growth, and put it in willow water, to encourage roots to grow. Then plant it in a starter pot and let it grow on a sunny window through the winter to plant in a container the following spring. 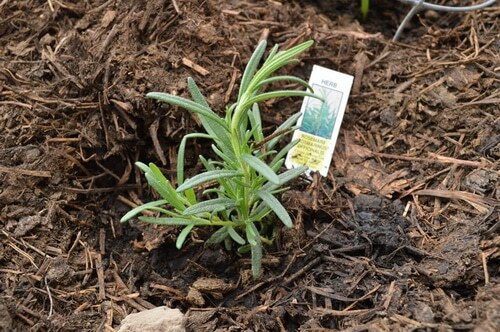 Rosemary is another tender perennial. When you see “officinalis” behind the Latin name of an herb, you know that at some time it was recognized as a medicinal plant. This is the case for Rosemary. Rosemary is another evergreen plant that should be grown in containers in cooler climates. It is a useful culinary herb and one of the ingredients in bouquet garni. It is used in French cuisine. It aids digestion. Add it to your chicken soup for the sick. Add it to the healing tea with sage, thyme, oregano, and marjoram. Rosemary improves circulation, useful for cold headaches but not when there is a feeling of heat in the head. Generally considered safe but should not be used in medicinal doses by pregnant women. Bring it indoors in winter. Propagate it by layering or by cuttings. Lemon Balm is from the mint family as is almost as hardy as peppermint. It is a refreshing tea, and can be used to flavour ice cream, drinks, and salads. 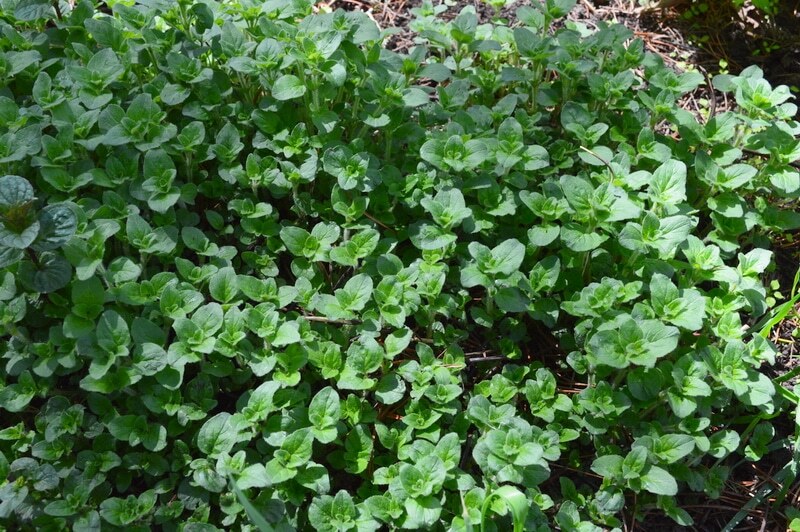 I throw a few Lemon Balm leaves into my salads in the spring for a taste surprise. It makes the salad really POP and gets rid of the “salad again” blues, when there isn’t too much really producing in your garden yet. Lemon balm is a really nice addition to peppermint tea or even green tea. Its cheering and reviving. Antispasmodic and it helps the nerves, helps you breath better, and even supports heart health. It helps in the treatment of headaches, migraines, and relieves stress and muscle tension. Lemon Balm is good for menstrual discomfort, too. Pregnant women should use half the recommended dosage found in herbals. 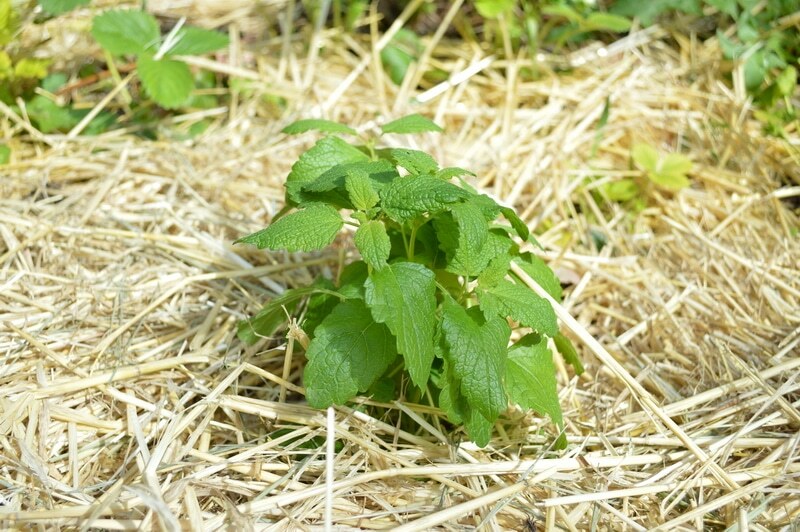 It’s so easy to make new Lemon Balm plants. Just divide the roots in the 3rd year from planting and then divide again every 2 years. Pass the starts on to your gardening friends. Dandelion (Taraxacum officinalis) zone 3 to 10. You probably already have this growing around your place. The leaves, before flowering, are eaten in salads with much the same flavour as chicory and endive. It’s closely related. All parts of the plant are edible at different seasons. Harvest the flowers and make wine, mead, or herbal tincture, or even throw them in a stir fry. The root is harvested in Fall after frost or early in the spring before the leaves really put on growth. Dry it and use it as a coffee substitute. A decoction (tea) made from the dried root is used in the treatment of several cancers including leukemia. The dandelion detoxes and supports the liver – an essential organ in the elimination of cancer and toxins from the body. Start from seed or transplant the roots where you find them into your garden area. Dandelion is a perennial but you won’t be dividing its tap root to make more plants. Instead plant the seeds from the maturing flowers. If you don’t need more dandelion plant, snap off the flower heads before they go to seed and feed them to your goats or chickens. They love dandelion flowers. Note that dandelion is a perennial. If you are trying to get rid of dandelions from an area on your homestead, the only way is to pull them up by the roots. If you leave a portion of root in the ground, this plant will regrow, its that generous. So you may as well harvest the roots for medicine. 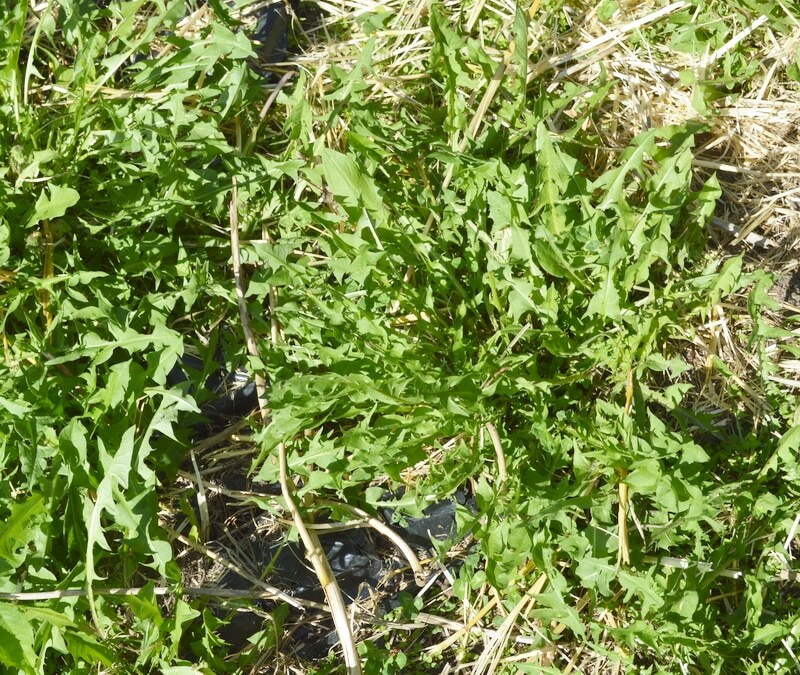 DO NOT HARVEST DANDELION ROOTS FROM PLANTS THAT HAVE BEEN SPRAYED WITH HERBICIDE. THEY ARE POISONED. ONLY HARVEST ORGANICALLY GROWN ROOTS. That’s 10 plants that you can get growing on your homestead right away that will give back to you for years both in culinary delight and in medicinal remedies. You can’t go wrong by picking from this list plants that are suited to your growing zone. If you want to stretch your season, and grow outside your climate, you’ll need to provide extra protection in the winter, but its still doable with a little precaution. Alternatively, buy fresh plants each Spring and coax them in your greenhouse or a hot bed to get them off to a strong start, and treat them as an annual. Notice that many of the herbal remedies have warnings against using them internally if you are pregnant. Talk to your midwife or doula about the safe use of herbal remedies during pregnancy or while nursing your babies. i am not sure how you burn these herbs. can you do a post explaining how to do this properly? Interesting post, but sage is short lived? Mine is at least ten years old and still going strong. Might depend on the variety. In zone 7 my sage only lived for 3 years and then I had to replace the plants. Here in zone 3 of course, I can’t get it through the winter. Loved this post! It’s packed full of helpful information. As such, it was one of my favorite finds this week, so I linked back to you today. from the same plants <Loved it!